PT comfort, ready to roll. Soft and lightweight, these Shirts are the ones you’ll reach for before working out. Built-in technology pulls away sweat and dries fast during your most active workouts. 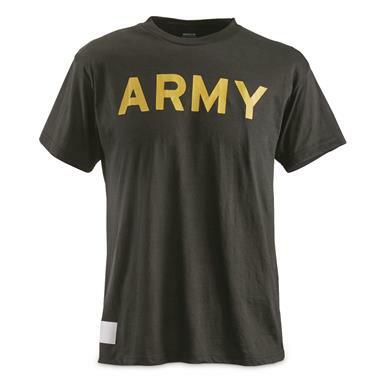 U.S. Army Surplus Moisture-Wicking T-shirts, 4 pack, New is rated 5.0 out of 5 by 1. Rated 5 out of 5 by Doctor Ron from Good price Sharp colors. Non-shrinking. Good price.